Nine months into 2018, their 25th year together, the Backstreet Boys continue to make their presence (re)known across multiple platforms. Not only are they continuing to dominate the Vegas Strip with their Larger Than Life residency, popping up on television everywhere from MTV’s TRL and the VMAs to The Tonight Show With Jimmy Fallon, and vigorously working to complete and release their 10th studio album, but they also continue to climb charts with “Don’t Go Breaking My Heart”, their first single in 5 years. With the music video recently hitting 30.5 million views on YouTube, the modern-meets-retro sounding tune continues to gain popularity and hit milestones for the group. 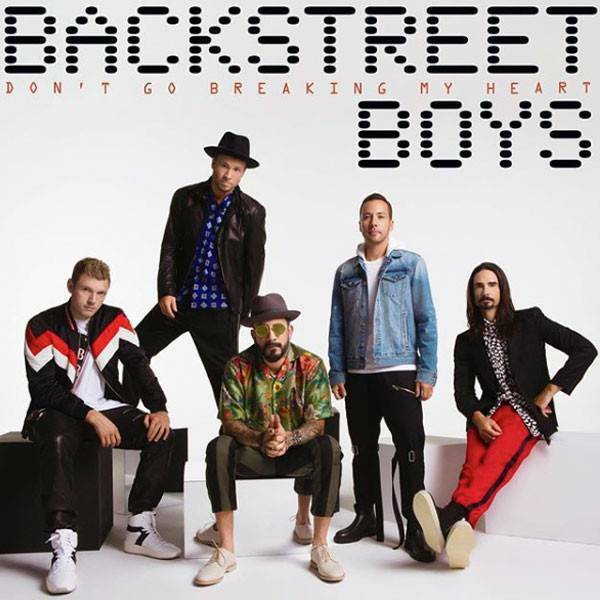 This week, “Don’t Go Breaking My Heart” entered the top 10 singles on American Top 40’s Hot AC chart, making it their biggest hit to date since they premiered on the chart in 1997. Recently, Billboard spoke with Stuart Crichton and Jamie Hartman, two of the geniuses behind the song, giving us insight on how the song fell into the hands of the best selling boyband. The rest, as you might know, is history. To find out what it is about working with Kevin, Howie, Brian, AJ and Nick that made the producing duo “want to work harder for them”, read the entire interview here. The Backstreet Boys have added the song to their set in Vegas and will include it on their upcoming album, out this Fall. Can’t wait? The single is available for download in multiple places - find out where here.